It doesn’t get any fancier than Liberty does it? I was first introduced to Liberty of London’s famous fabric by Alexia Abegg’s book Liberty Love, the source of the ubiquitous Marcelle Medallion. I purchased six 9 x 12 pieces from Ali of Very Berry Fabrics, just to try it out and participate in a swap on Flickr. She was so sweet and fun to work with! I couldn’t believe how fast the fabric arrived all the way from the UK. The packaging made it feel very much like getting a present. No of course she’s not paying me to say that. It’s just true! I sent my twelve 5 inch squares off for the swap yesterday. Of course I will update you when I receive my squares back. This is my first swap, and I’m very curious to see what I’ll get. In other fabric news, I realized that Anna Maria Horner has not one, but two lines coming out in November! One is her usual gorgeous, artsy work (Dowry) and the other (True Colors) is specifically designed to be helpful blenders for quilting. How cool is that? They are definitely at the top of my wishlist. I have been sewing away this week but I can’t show it to you yet. Keep your eye out in the next couple of weeks for a blog hop from Michelle at Factotum of Arts for her new block pattern! I won’t tell you what I made but I’ll give you a hint: it’s not a quilt! This entry was posted in Uncategorized and tagged Liberty of London. Bookmark the permalink. Inspiring! Can not wait to see what you do with them. So inspired from your class, too. Oh how I love these fabrics!!! Looking forward to seeing what you create, no doubt it will be beautiful! Ah, I want to see what you made for Michelle’s pattern! I just love it. That true colors line is going to be my guilty please!!!! It is exciting to anticipate fabric by mail! Those are beautiful. Looking forward to seeing what arrives in exchange, Sarah. 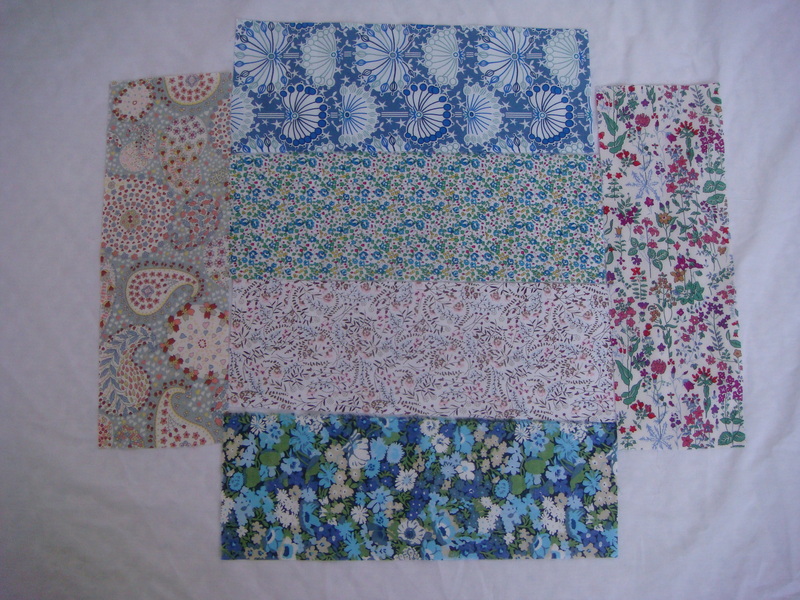 I do not have any Liberty fabrics, and I feel this is a smart decision on my part because I know if I touch them, I’ll want more! But I can be jealous from afar. 🙂 Lovely! Also, I’m stoked about the AMH news! Well…great purchase! How does one decide what to make. Yes, simple squares would be extremely lovely. 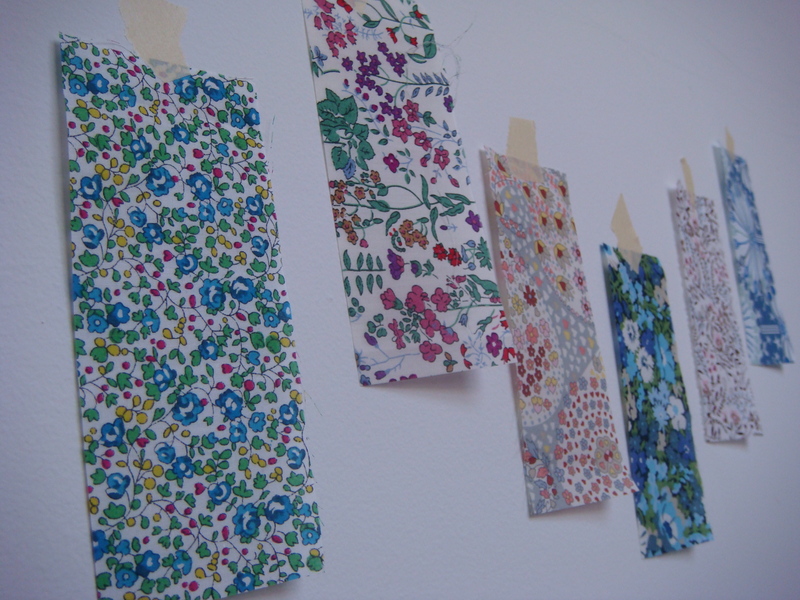 You have some beautiful Liberty fabrics…..looking forward to seeing what you do with them! I love Liberty and always get mine from Ali too. i am slowly making a quilt out of it using EPP. i love it as well. i made 2 quilts for my son and his wife. with patterns from jean madan–http://madanquilting.blogspot.com one was the shadow box (free tutorial), and the other was bricks ($3) i used black for the shadows and the bricks and the showcasing of the liberty fabrics was wonderful! really got the most for my $$ that way. those babies are pricey! i also had hand embroidered with black floss on white 9 old school alice in wonderland pieces and backed and bound them in black. i used strips of the liberty to make a narrow flange inserted at the binding. really set them off i think. these were also for my daughter in law. and, then, i also made 2 cat mats with the bricks pattern for their two cats….and i still have leftovers ;o) i am thinking a cathedral windows would be nice to do with some of them. cant wait to see what you do with yours….. I can’t wait to see what you make. I ordered some Stile and confess that I was a little disappointed; I thought Liberty was synonymous with Lawn. Live and learn! The Stile has come in handy for my penny sampler, and now I know that I’d like to try a little lawn. Let us know how you like sewing with it! So much gorgeousness. 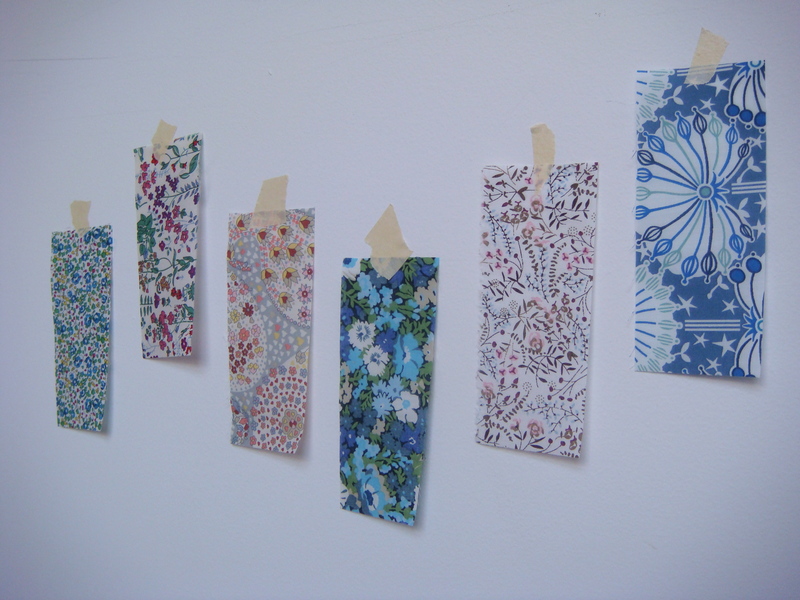 I especially like the print with the larger blue and green. I’m excited to see what you end up doing with it!